Spring has finally arrived here, both by the calendar and through Mother Nature. The birds are singing, the snow is melting, and the sun is shining longer each day. 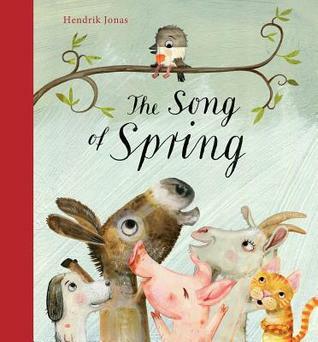 In Jonas’ book, a little bird sees all the other birds singing their spring songs to each other, and he becomes sad. This little bird couldn’t remember his song of spring. As the little bird tries all the other animal sounds like “woof”, “moo”, and “meow”, he meets all kinds of new friends that answer his call. But, none of them are another bird like him. Unfortunately, none of his new animal friends knew what his bird song of spring should be…until they heard it, coming from someone else. This is such a sweet story of friendship and kindness…even the cat didn’t try to catch and eat his new bird friend. The illustrations are gorgeous and offer a realistic and multimedia look on the pages. I think the donkey is my favorite illustration. 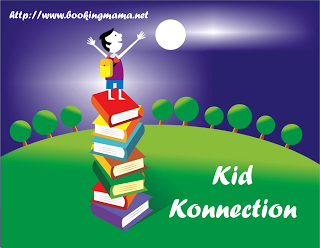 Kids and parents will love this sweet story and younger kids can learn all the animal sounds and practice saying them while reading along in the book. This book would be perfect to tuck into your child’s Easter basket. Hendrik Jonas is a Berlin-based illustrator whose work has appeared in The Times and The Guardian. This is his third book for children. For more information, check out his website, HERE. That looks perfect for this time of year.